Update February 25, 2016: Today we released the build 7753 which improves on the previous build 7554 by adding an option allowing to adjust the growth behavior of towns. Also the compatibility with integrated Intel GPUs was highly improved. Please find the complete release notes here and the release hints here. We are very happy that today the newest build 7554 was released. This update introduces three widely requested features and also aims to further enhance the gameplay, usability, as well as performance. Trams finally get their long awaited catenaries. 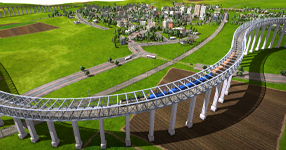 Players can now upgrade streets with electric tram tracks. Next to presenting a visual eye catcher, catenaries are also an optional new gameplay element. The newest build introduces catenary for electric trams. A very flexible and highly modable asset placement tool opens a wide range of new possibilities to polish and decorate maps with any objects. Because we have observed that the modding community wants to snap assets to tracks, we have also implemented track-aligned assets. 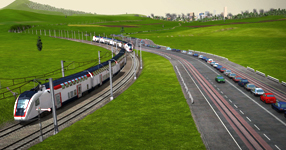 A new tool allows for placing both track-aligned and free assets. With the new option to use height maps for generating landscapes, player are now able to create truly realistic and beautiful sceneries. In combination with the possibility to include predefined seeds, this allows for creating various challenging and diverse scenarios. Heightmaps from grayscale images can now be imported. Trains behave more predictable when changes are made to the track and stations. Industries grow twice as fast than before and decline much slower, making them less sensitive to fluctuations in the transport network. We also optimized city development resulting in an increased performance and reduced lags at the end of months. The modding possibilities have been significantly widened, giving content creators more control over how the game behaves and looks. Our volunteers from the community put much effort into improving the translations and Swedish was added as a completely new language. There is also a long list of various small improvements and bug fixes. Please find the complete list in the release notes. More information on how to use height maps and an example map can be found in the release hints. We put as much effort as possible into this build and we did our best to consider as many wishes and suggestions as possible. Let us express a big thank you to all players, modders, testers and fans. 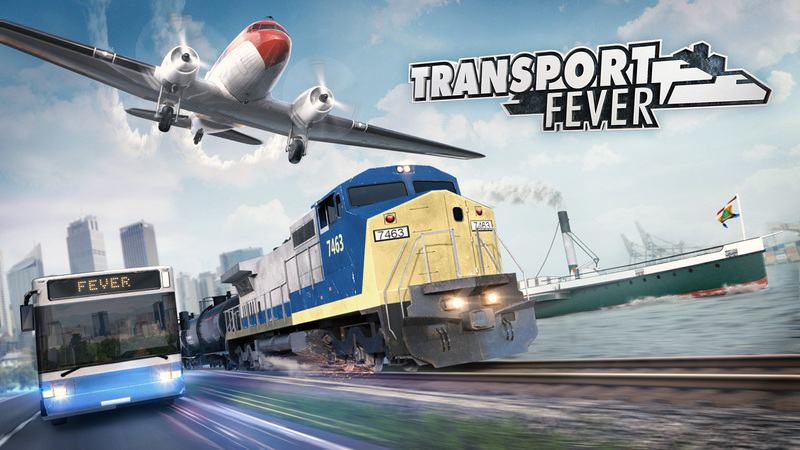 Without all the suggestions and testing effort contributed by the community, Train Fever would not be where it is today. We hope you enjoy this final update and we very much look forward to see even more great contributions from the modding scene. At the moment we are working very hard here at Urban Games and we look forward to soon share some very exciting news with you.